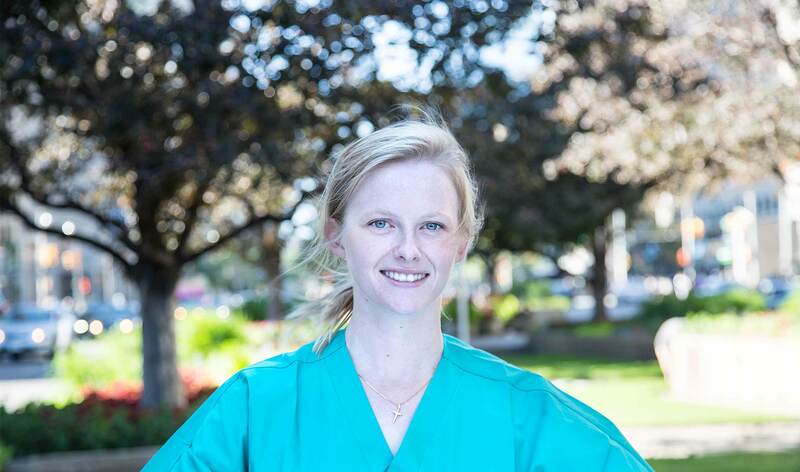 By devoting her time to extra-curricular activities, Dentistry’s Alicia Clancy is broadening her worldview and opening up to new learning opportunities. Among her many activities, Clancy helped found and coordinate the “Dentistry in Africa” lecture series in support of the Faculty’s emerging partnership with the Addis Ababa University Dental School in Ethiopia. The semi-annual event has generated tremendous excitement within the faculty. Dean Daniel Haas and Dr. Wondwossen Fantaye recently gave a rousing presentation on the Ethiopian Outreach Program, and Dr. Joel Rosenbloom spoke about his personal experience working as a dentist in Mozambique. Clancy has also co-chaired the Faculty’s contribution to Sharing Smiles Day, which brings together practicing dental professionals, dental students, and persons with various mental and physical disabilities in order to foster a deeper comfort level with treating this too-often-shied-away-from population. The annual event features carnival games, musical performances and dental hygiene lessons for those with special needs. Student volunteers from U of T’s Faculty of Dentistry, under the guidance of volunteer mentors, learn that this vulnerable segment of society doesn’t necessarily need to be cared for in a specialized environment. What does debating teach students about global leadership?